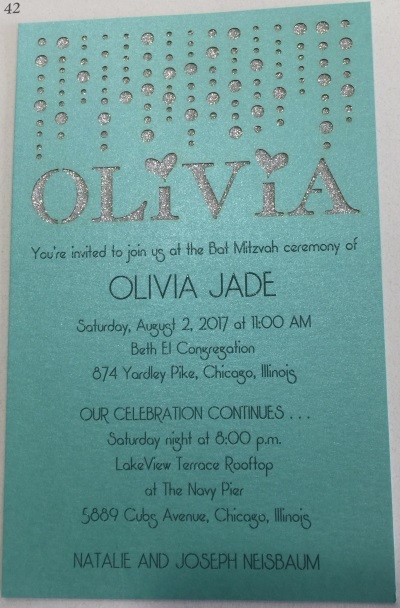 Invitations set the tone of your child’s Bar or Bat Mitzvah and tell guests important information about the service, party and more. Since an invitation is the first impression guests receive about your child Bar or Bat Mitzvah, it is important to remember that you never get a second chance to make a first impression. Invitations can range in price from around $1.00 and up. So, what is the difference between a $1.00 invitation and a $50.00 invitation? 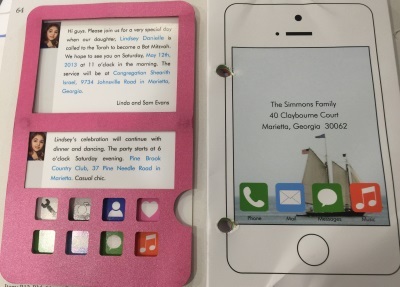 Mitzvah List asked party planner extraordinaire and invitation expert, Andrea Solomon, to explain about different invitations. Whether you are having an event for 2 or 2,000, let professional party planner, Andrea Solomon, be at your service. From full party and event planning to “just a little extra help”, Andrea will make your special day unforgettable. Andrea’s start-to-finish mitzvah planning services allow you to focus on your family and guests while she takes care of all the details. She also offers day of event services, including kids’ security services, where she makes sure your event goes smoothly and your guests have the time of their lives. Andrea can help you with venue selection, stationary, invitations, décor, entertainment, menus, itineraries, floor plans, lighting, hotel baskets, give-a-ways, mitzvah security, favors and more. Andrea offers a 25% discount on invitations. Andrea categorizes invitations into four groups: economical, mid-range, high end and acrylic. Economical Invitations: Economical invitations range from $1.90 to $5.00 an invitation. 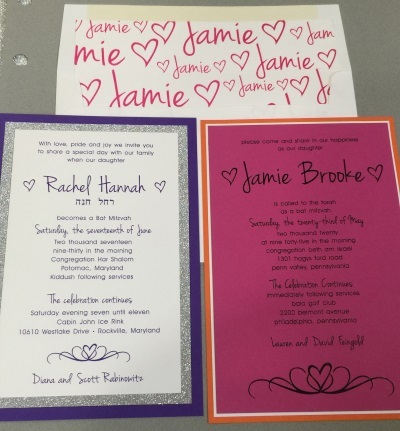 Economical invitations are semi-custom which means you may be able to change colors and fonts, but not much more. If you are looking to save, choose an invitation with less layers, opt out of an envelope liner and skip the embellishment like rhinestones and bows. A great economical invitation choice that looks a little nicer is a pocket invitation. Pocket invitations open and close and include pockets for your invitation, reception and response cards. Mid-Range Invitation: Mid-Range invitations range from $3.00 to $7.00 an invitation. Mid-range invitations include nicer paper and different printing options. 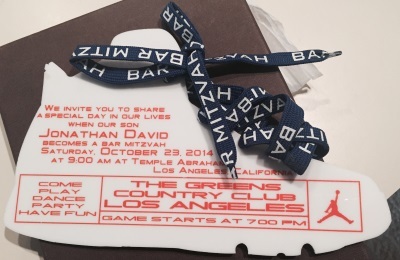 Mid-Range invitations include laser cut options. Printing can include thermography, which is raised letters and often the least expensive option, or flat foil printing. 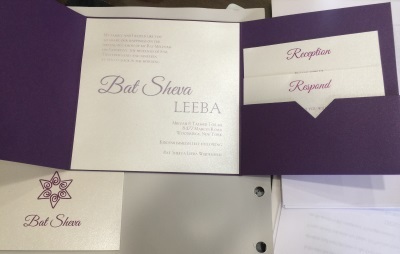 Many mid-range invitations include a custom envelope flap or custom liner. High End Invitations: High End Invitation range from $8.00 to $20.00 an invitation and up. High end invitations are custom and include thick luxurious papers and materials and are completely customizable. High end invitations include letter press, where the writing is impressed into thick paper. High end invitations can also include glitter ink, can light up and can even be sent in a box or bottle. High end invitations come in different shapes and sizes. Square and other odd shaped invitations can add to postage costs so keep this in mind. 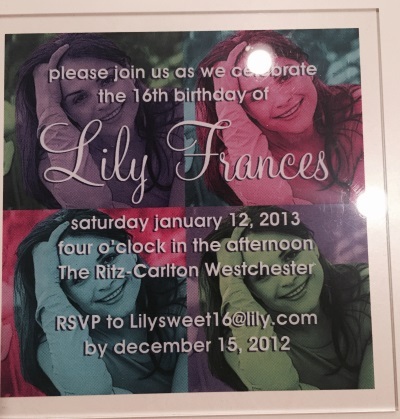 Acrylic: Acrylic invitations range in price from $28.00 to $55.00 an invitation and up. 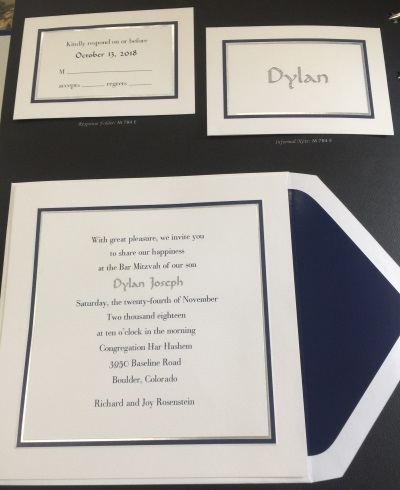 Acrylic invitations are very thick and heavy, so make sure you consider the postage costs before deciding on an acrylic invitation. Acrylic invitations can include many backgrounds including, photos, papers and fabrics and can usually be completely customized. Andrea stresses that although many people like to buy things online, invitations are something you need to see in person. There is something to say about seeing, feeling and touching an invitation since you cannot tell paper thickness, colors or printing options online. 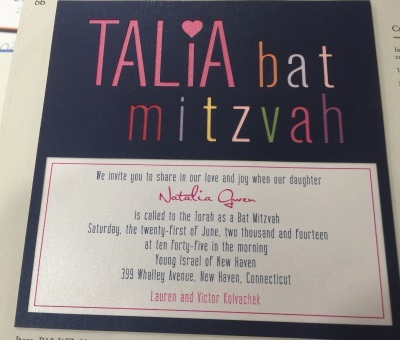 A lot of planning and thought goes into a Bar and Bat Mitzvah so it’s not worth taking the chance on an invitation that may not be what you expect. 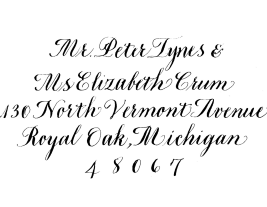 Last, don’t forget to have your invitations professionally addressed by a calligrapher. There is something to say about the elegance of hand calligraphy. Gail Geer of Gail’s Calligraphy creates beautiful calligraphy in all colors and fonts, all by hand. She can create almost any font to perfectly match your invitation. In addition to gorgeous envelopes, Gail also makes beautiful engraved gifts that include bottles of wine, wine glasses, coasters and more.